OUR PASSION to give you peace of mind and exceed your expectations. Over and over again. We’re experts in industrial relocation. We’ve been operating for more than 15 years in the industry and we specialise in de-construction, relocation and re-assembly of heavy machinery of any kind. Our many years of experience and combined expertise mean we’re always able to deliver your machinery relocation on budget and on time. We know the real value of a quality handling and transportation service and that’s our promise to you. 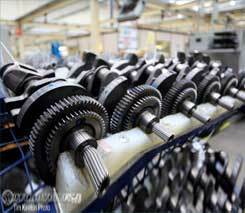 Our in-house engineering team is able to make customised changes or alterations at your site, on your production line. We’re based in Goirle, The Netherlands, where we’re able to store your machinery in our conditioned warehouses. We’re also growing our global business and have a few international offices to facilitate this business. Please get in touch to enquire. Please hover over the pinpoints on the map to learn more about our experience in each region across the globe. Multiple production lines have been set up and delivered in the pharmaceutical industry. Successfully executed a diversity of projects in the automotive industry. 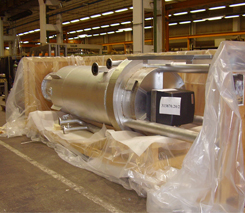 Successfully delivered multiple overseas relocations of production lines. 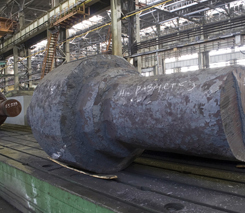 Machinery relocation throughout Europe from and to different continents. Disassembly and re-assembly projects of several production lines. Set up, fiiting and commissioning of used machine lines. Successful disassembly and relocation of several production lines in the food sector. For more than 10 years is the Gerritsen Group leader in turn-key industrial removals. Whether it's the move of a single machine or the move of a complete production plant, Gerritsen is your partner for a safe and cost effective machine removal. The Gerritsen Group is headquartered in Goirle, The Netherlands, and has conditioned space for machine storage.